This article was originally published by the Kansas City Business Journal. Read more here. 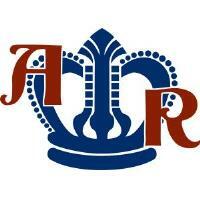 Six months after its CEO left the organization, the American Royal Association has found its next leader. Glen Alan Phillips replaces Lynn Parman, who is now vice president of business development at McCownGordon Construction LLC. Parman was president and CEO for three years and helped lead efforts to establish the KC Animal Health Corridor brand. Phillips, who takes the reigns April 15, built a nearly 20-year career with the San Antonio Stock Show & Rodeo and most recently was its chief strategy officer. In a release, American Royal chairman Charlie Tetrick described Phillips as a "progressive and natural leader." The Texas organization attracts more than 2 million visitors annually and has donated more than $198 million to Texas youth in the form of scholarships, grants, endowments and junior livestock auctions and other events, according to its website. The American Royal also is heavily focused in sparking an interest in agriculture for youth and gives more than $1 million annually for youth scholarships and education programs. The American Royal also hired Jackie McClaskey to lead fundraising and development efforts and the organization's relocation project in Wyandotte County. McClaskey started on Monday and most recently was secretary of the Kansas Department of Agriculture. Her career also includes being a campaign manager for Derek Schmidt for Kansas attorney general and the assistant dean for Kansas State University's College of Agriculture.